Need Company Secretary in Noida for MNC. A Company Secretary Required for MNC in Noida, Experience 0-1 Year, If anyone Interested call at +91-9313218442. Posted in Uncategorized • No Comments on Need Company Secretary in Noida for MNC. 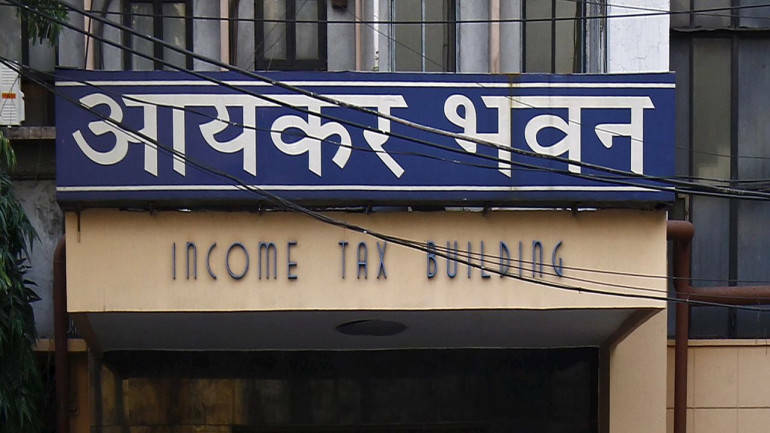 The Income Tax (I-T) Department is holding back tax refunds of many private and public sector enterprises, likely equaling to 5-10 percent of total tax collection in 2017-18, sources in the department told sources. Direct tax collection in 2017-18 was Rs 9.95 lakh crore, exceeding th revised budgeted target of Rs 9.8 lakh crore. Now January 2019 GSTR1 allows to amend B2B invoices pertaining to FY 2017-2018.
Who wants to amend invoices of FY 17-18 may please use it. Essar Steel becomes the 1st company to come around & say it wants to settle its 54,000 cr NPA loan to banks taken between UPA period of 2004-14. – Amount is 6 times of Vijay Mallya’s default. – Amount is 8 times of Nirav Modi’s default. – Amount equal to entire Rafale deal. – All given under UPA era. – IBC would do to corporate lending what CIBIL did to retail lending . – IBC insolvency is as big a reform as GST. Media will not show such developments in their primetime debates coz appeasing INC which gave NPA worth 54 lakh crore is important than doing justice to Modi who is yielding results despite facing odds. IBC is a great success. To loot the banks the UPA government had disbursed 47 lac crores between 2007 to 13. This figure looks stunning if you know that only 19 lac crores was disbursed by banks from 1947 to 2006. It was specifically mentioned by the PM recently. He calls it “phone banking”. Effective April 1, the GST exemption threshold has been raised from Rs 20 lakh to Rs 40 lakh. For hilly states and those in the North East, the threshold has been doubled to Rs 20 lakh. Now states will be able to choose if they want to keep the GST exemption limit at Rs 20 lakh or Rs 40 lakh, Jaitley said. The existing Composition Scheme turnover threshold raised to Rs 1.5 crore. Now Composition tax payers will pay tax quarterly, but file returns annually. Those providing services or mixed supplies (goods and services) with a turnover up to Rs 50 lakhs will now be entitled to avail composition scheme. Compounding rate for services under composition scheme is fixed at 6 percent. A committee has been set up to consider real estate GST rates, a consensus is yet to be achieved, says FM Arun Jaitley. GST Council lets Kerala levy 1% cess for 2 years on intra-state sales: continued till election 2019.hope notified soon. Extension in Timeline of GST-TDS Return- NN-66/18 dt 29-11-2018 extends the due date of filing monthly GST-TDS return for October’18 to December’18 months till 31-01-2019. Extension in Timeline of GST-TDS Return- NN-66/18 dt 29-11-2018 extends the due date of filing monthly GST-TDS return for October'18 to December'18 months till 31-01-2019. Posted in Uncategorized • No Comments on Extension in Timeline of GST-TDS Return- NN-66/18 dt 29-11-2018 extends the due date of filing monthly GST-TDS return for October’18 to December’18 months till 31-01-2019.